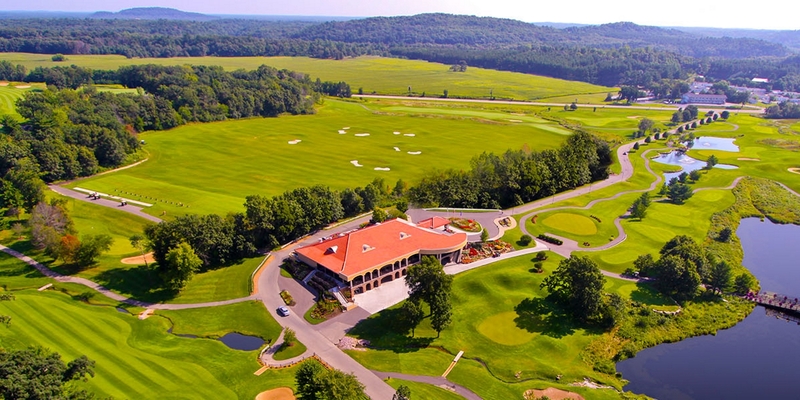 Combining the challenges of a championship design with a playability that golfers of all levels can enjoy, Trappers Turn has gained the reputation among players as a golf lovers paradise. 2007 features state-of-the-art GPS by Uplink. 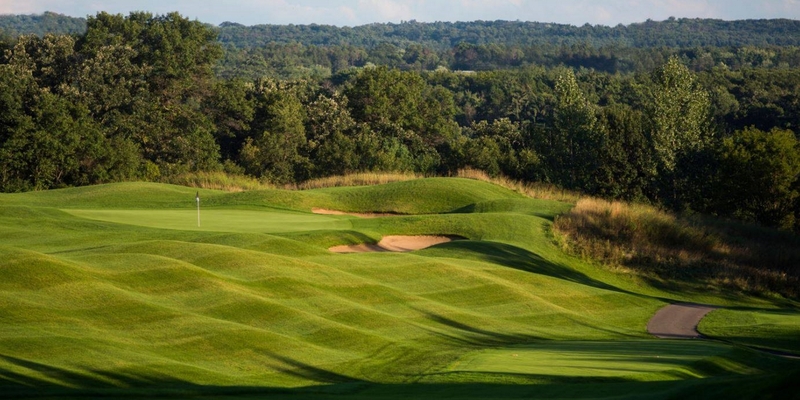 In an area carved by glaciers, with the scenic Wisconsin Dells countryside as their canvas, two-time U.S. Open Champion Andy North and world renowned golf course designer Roger Packard have created what many consider to be the ultimate type of course. The spacious learning center at Trappers Turn features elevated target greens, laser measured yardage references and bent grass teeing areas. The short game area features varied grass-cut lengths and practice bunkers to fine-tune greenside skills. Group and private instruction is available from the professional staff. Please call 608-253-7000 for current rates. Located approximately 1 1/2 miles off of I-90/94 on Highway 12/16 East. 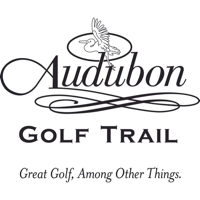 Call 608-253-7000 for rates and tee times. 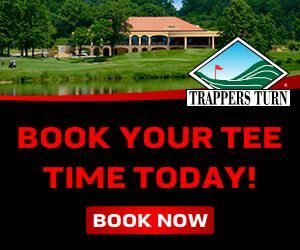 At Trappers Turn, each group outing receives the same attention to detail that goes into hosting a first class tournament. For your corporate outing, charity event or special occasion, our award winning staff is committed to creating an experience you, your clients, associates and friends will long remember! 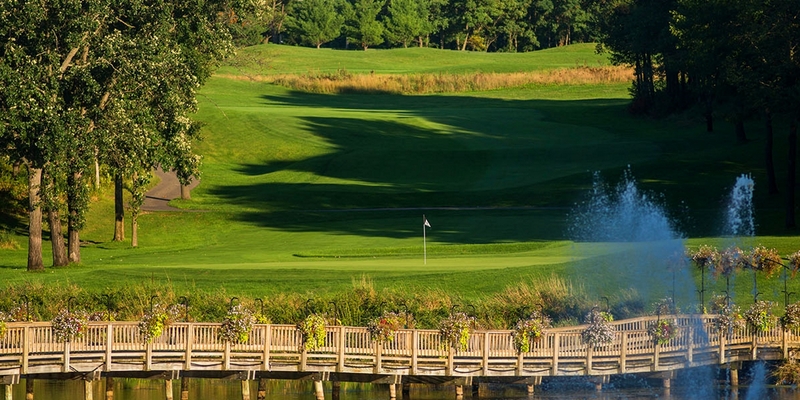 Experience the ultimate destination for the most important day of your life at our Wisconsin Dells golf club, Trappers Turn Golf Club. Not only a championship golf course, Trappers Turn provides beautiful event space for the most important of occasions. Indulge yourself in a winning experience, full of picturesque outdoor spaces and views and graceful event space for up to 250 happy guests. Our North Room at Trappers Turn is ideal for smaller Wisconsin weddings, seating 65 guests comfortably. Enjoy world-class catering, with delicious menus personalized solely for your nuptials. Expert mixologists will supply handmade cocktails and drinks for your group, toasting to your new life together. Plan your wedding at Trappers Turn Golf Club in Wisconsin Dells for a wedding that will be talked about for years to come. Contact Trappers Turn Golf Club at 608-253-7000 for onsite or nearby dining options. Watch the Trappers Turn Golf Club Video. This profile was last updated on 04/02/2019 and has been viewed 54,111 times.